As you probably know, there are different breeds of cats, each with their own traits. Just as diverse cats are in their characteristics, so are they in terms of diseases that they could develop. Urinary tract problems in cats are just one such example and urinary-related illnesses are rather common. Urinary tract problems in cats can develop at any time in a cat’s life. Research suggests that these issues are most common among cats older than one year, but also younger than four years. The condition can affect cats of both genders. There does not seem to be a trend toward a specific gender. Within the United States and the United Kingdom, up to 1% of cats display signs of urinary problems annually (1). FLUTD is an acronym for feline lower urinary tract disease and is one of the most common urinary problems in cats. The pain comes from the lower urethra and the bladder. There is a number of potential causes for urinary problems in cats to develop. As a cat owner, be cautious about these issues that your feline friends may develop. Understand what may cause urinary problems in cats. This can help you better understand how to reduce the risk of your cat developing problems with their urinary tract. Debris may accumulate within the cat’s urethra or their bladder. In addition to debris, an accumulation of crystals and stones in these regions may also contribute to FLUTD. 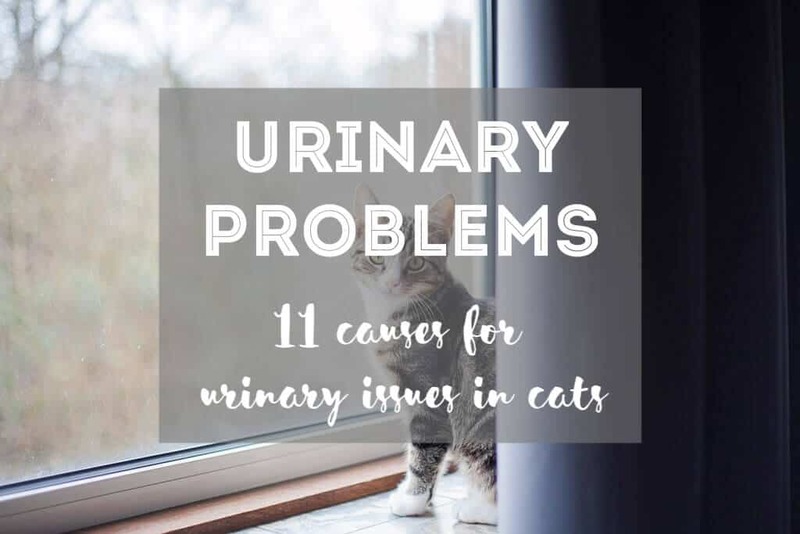 Approximately 14% of all cats that develop urinary problems and show signs of these issues tend to have stones or crystals that have developed in their urinary tract. When debris caused by urine accumulates, it may also lead to a urethral plug. This essentially causes an obstruction within the urinary tract of the cat. When an infection develops in the cat’s bladder. It is relatively rare for urinary problems in cats to be caused by an infection, however. Only approximately 2% of signs related to a urinary issue in a cat is actually caused by an infection that has developed in the urethra or the bladder. The risk of an infection causing these problems is considered higher among older cats. The development of inflammation in the urethra and area of the bladder can also cause a cat to show signs associated with the presence of urinary tract issues. This may cause a subset of the FLUTD condition to develop – there are three subsets, in reality, which may include Interstitial Cystitis, Feline Urologic Syndrome, or Feline Idiopathic Cystitis. When inflammation in the lower area of the urinary tract develops without identifiable physical causes, these conditions can usually be diagnosed. An injury suffered by the cat’s urinary tract. The development of a tumor in the urinary tract of the cat. A number of spinal cord issues may also lead to the development of FLUTD-related symptoms. A congenital abnormality that the cat is born with can make them more prone to develop urinary tract problems. Cat’s with weak bladders are also known to be at a higher risk of FLUTD. In addition to the above-mentioned risks and causes associated with the development of FLUTD, it should be noted that cats may also be prone to develop this problem if they are under constant stress. There are also some health-related problems that the cat may suffer from, which could increase their risk of urinary tract issues. The primary health conditions associated with FLUTD include diabetes and hyperthyroidism. Since cats are unable to communicate with their owners in plain English (or whichever language you may speak), it can sometimes be hard to know what is wrong with your cat when they start to act differently than usual. Urinary problems in cats can be painful and very unpleasant for a cat, which is why it is crucial for owners to know about the symptoms of urinary tract problems in cats. Urine may seem cloudy or even bloody at times. When the cat urinates, they might give out a cry due to the pain. A cat’s urine will usually have a strong ammonia smell to it. The cat may start to drink more water than usual. Urine may dribble from the cat due to a loss of control over their bladder. The cat may frequently lick the opening of their urinary tract. You may notice your cat visits the litter box more frequently – the cat may also sometimes squat over the litterbox for prolonged periods of time. The cat may seem lethargic. 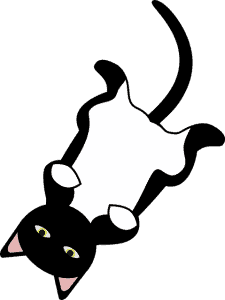 Some cats may also vomit when they have FLUTD. There are different ways that urinary tract problems in cats can be treated. Urinary problems in cats treatment options depend on what caused the condition in the first place. When the underlying causes are treated, symptoms of FLUTD may improve, and the risk of recurrence may also be greatly reduced. One particular problem often faced with FLUTD in cats is the fact that in as many as 64% of cases, the condition is classified as idiopathic. This means that no actual physical cause can be identified. It becomes harder to initiate an effective treatment protocol to help address any underlying root causes. Antibiotics are often used when an infection is suspected to be present. The possibility of an infection can be confirmed by testing the cat’s urine. Urinary acidifiers may also be administered to the cat. Another possible medical option may include fluid therapy. You may also be advised to increase the cat’s intake of water and to make appropriate dietary changes, depending on the cat’s existing diet. In more serious cases, surgical procedures may be used to remove stones. Surgery may also be used when congenital abnormalities are present. There is also a surgical procedure that can be used to assist in removing an obstruction or blockage within the cat’s urethra. This may help to relieve symptoms associated with urinary problems in cats. There are different types of urinary problems in cats prevention options available. One of the most important strategies is to ensure the cat remains at a weight that is considered healthy for them. This can be done by ensuring the cat eats a balanced diet by buying the right foods for them. The cat should also get enough exercise to avoid weight gain. Make sure your cat has enough fresh water to drink. It is important for cats to stay hydrated. Too little can lead to an increased risk for urinary tract problems. isolating themselves from you and the rest of their general environment. When these signs become present, take appropriate steps to help reduce stress in your cat. Make sure the cat has water available and litter boxes in fixed locations. Provide your cat with a scratching pad and offer the cat a couple of hiding places. You should also play with your cat and remember that cats often like to be loved and to cuddle. When urinary tract problems have occurred in your cat, it is important that you take appropriate measures to prevent them from happening again. Your vet will give you instructions to follow. and follow any other instructions that the vet gave you. Once the problem has been treated and your cat seems to be better, implement preventative steps. You should take a couple of additional steps to prevent recurrence as well. 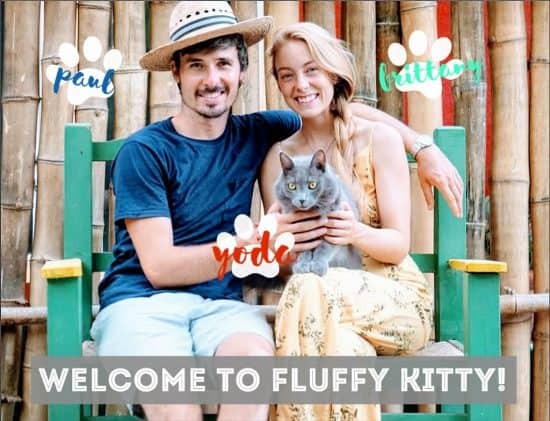 Since the cat has now already experienced this issue, there might be a higher risk that it could happen again in the future. This is especially the case if there was an underlying cause for the development of the condition. Take your cat to the vet for a thorough checkup once you see no more signs of urinary problems. Tell your vet about the symptoms the cat experienced. Ask the vet to see if there are still any issues that may cause irritation or swelling in your cat’s urethra. Potential risk factors that are detected should be dealt with accordingly to minimize the risk of a recurrence.